Our Kirana Shops Are The Toughest Competitors of Amazon, Walmart, Others..
“Walmart will invest over Rs. 100,000 crore to take majority control of Flipkart, and Amazon is in the midst of multi-year investments of over Rs. 40,000 crores to become India’s eCommerce leader. The toughest competition they face are from the lakhs and lakhs of our own local “Kirana” stores. We all Indians of course know it but the rest of the world is slowly learning about it. The local shops runs by the mom and pop owner provide among the lowest cost, fast checkout, speedy delivery and personal relationships. Now after demonetisation, many are taking mobile money, so one need not even carry cash. 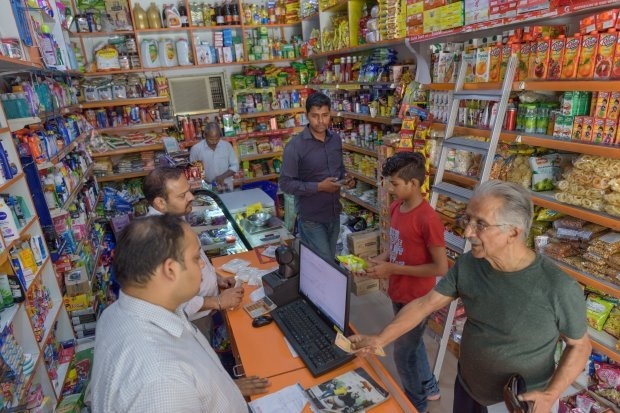 One Kirana shop or a small local markets with a few shops, each of only 200 to 500 square feet, with 2-5 employees but they reportedly carry more than 1,000 different items. Almost any item of everyday need you can find there and the service is quick and payment fast, rarely are their long lines. The shopkeepers know their customers, take orders by phone and often to deliver too. Sometimes, they give the shoppers credit – we all know when the shopkeeper notes the bill in their book for future payment.